Everywoman has announced the 2018 winners of the FDM everywoman in Technology awards, which is designed to put some of the technology industry’s great women in the public eye. Sponsored by FDM, everywoman runs the awards every year to showcase the work being done by women in the science, technology, engineering and maths (Stem) industries. Young girls have said they want to see more female role models in the technology industry, and many believe being able to see role models across the entire tech pipeline is important for encouraging young women into tech. Co-founder of everywoman, Maxine Benson, said this year’s new categories of Apprentice Award, International Inspiration Award and Male Agent of Change Award aimed to showcase not only role models of every level but others in the industry who are contributing to diversity and change in tech. “Tackling the gender imbalance in the UK’s tech industry requires everyone to take action. Therefore, it is important to not only showcase the high-profile role models in the sector but also the male allies, young game-changers and those supporting from across the globe,” she said. It has been proven that by creating a diverse team, firms are more productive and also more profitable – making it good business sense to recruit diversely. The 2018 Woman of the Year is Marily Nika, engineering program manager at Google. Nika founded the Women in Computing Group during her PhD in Computer Science at Imperial College London, and founded a global platform for connecting women in tech called London Geekettes. Academic: Sponsored by Lloyds Banking Group, this year’s academic award went to Jeni Brown, training manager at the London School of Economics (LSE) and Political Science. Brown created an IT training programme for LSE, with the aim of making graduates more employable around the world. One to Watch: Sponsored by Computacenter, the One to Watch award was given to 17-year-old Katie Griffiths, a student at King Edward VI School. Griffiths created I’m Okay, an app allowing teenagers to ask questions about LGBT issues if they are questioning their own sexuality. Apprentice: Sponsored by Bank of America Merrill Lynch, the Apprentice award was won by Sophie Caffrey, technical apprentice for Leonardo. Caffrey visited Leonardo on an apprentice open day and was inspired to pursue engineering as a result. 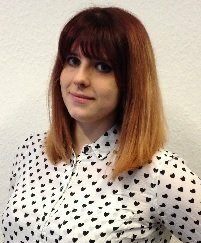 A printed circuit board she designed as part of her first project as an apprentice is now being used by the firm in a global product trial. Rising Star: Sponsored by T-Systems, the Rising Star went to Kimberley Norris, senior systems engineer at Lockheed Martin and pilot officer in the RAF Air Cadets. Norris has worked on several technology projects with the Royal Navy Maritime Capability Office, and volunteers as a Stem ambassador across multiple RAF Air Cadets squadrons. Digital Star: Sponsored by CGI, the Digital Star award was given to Carrie Anne Philbin, director of education at the Raspberry Pi Foundation. Philbin has helped to train 2,000 educators and 12,000 adults through her Picademy educator support programme. Software Engineer: Sponsored by NatWest, the Software Engineer award was won by Kirsty Tidmarsh, senior software engineer at Department for Work and Pensions. In her role, Tidmarsh played a huge part in introducing an integrated telephony platform, saving on considerable supplier costs. Outside of work, she created the Women in Software Engineering Community network. Team Leader: Sponsored by American Express, the team leader award went to Tanja Lichtensteiger, business systems development manager at Leeds Beckett University. Lichtensteiger has gone above and beyond to try to secure funding for her team’s training and development, and gives talks for Code First to encourage girls to think about IT careers. Startup Founder: The award for Startup Founder was given to Gemma Milne, co-founder of Science: Disrupt, an unbiased media outlet focused on science entrepreneurship. Entrepreneur: Sponsored by Fujitsu, the entrepreneur award went to Georgina Nelson, CEO and founder of TruRating. Originally a consumer rights lawyer, Nelson founded TruRating while on maternity leave after noticing a gap in the market for reliable customer ratings of goods and services. Innovator: Sponsored by Equiniti, the innovator award went to Amanda Adams, cryptography architect at Bank of America Merrill Lynch. In her spare time, Adams is a CoderDojo mentor where she helps to teach children and teenagers to code. Leader: Sponsored by BP, the Leader award went to Debbie Vavangas, iX executive partner at IBM. Vavangas joined IBM as a graduate in 1997 and is now an executive partner. In a single year, her team has built 15 new products, 16 clickable prototypes and has globally scaled three products. Male Agent of Change: Sponsored by VMware, the Male Agent of Change award was given to Russ Shaw, founder of Tech London Advocates and Global Tech Advocates. TLA is a community of 5,000 members, which aims to make positive changes to the technology industry through working groups. Shaw is a part of the Digital Skills Partnership. International Inspiration: Sponsored by Aviva, the International Inspiration award went to Gayathri Mohan, head of corporate social responsibility for Sopra Steria, from Chennai, India. Mohan supports thousands of young people from poor backgrounds who have limited access to technology education.